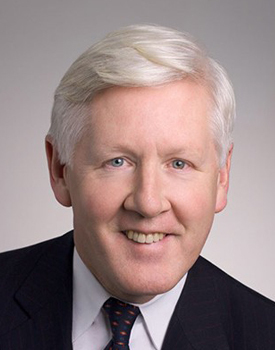 Bob Rae is an arbitrator and mediator with ADR Chambers. Bob served as Premier of Ontario from 1990 to 1995, and has been elected ten times to both federal and provincial parliaments. He is currently the Member of Parliament for Toronto Centre. He was a partner at Goodmans LLP from 1996 to 2007. His Canadian clients have included companies, trade unions, charitable and non-governmental organizations, and governments themselves. He has extensive experience in negotiation, mediation and arbitration and has consulted widely on issues of public policy both in Canada and worldwide. Bob has a B.A. and an LL.B. from the University of Toronto, and was a Rhodes Scholar from Ontario in 1969. He obtained a B.Phil degree from Oxford University in 1971 and was named Queen’s Counsel in 1984. In 2000 he was appointed an Officer of the Order of Canada and appointed an Officer of the Order of Ontario in 2004. He has received numerous honourary degrees and awards from colleges and universities in Canada and overseas. Bob is a former panel member of the Canadian Internal Trade Disputes Tribunal, and is on the international commercial arbitrators list of the Canadian Council for International Business. He was also the founding President of the Forum of Federations, and has served on many boards and commissions, both public and private. Bob completed a review of Ontario’s Postsecondary School Education for the Ontario Provincial government, with a report entitled Ontario: A Leader in Learning, which in turn led to significant policy and budgetary changes. In the spring of 2005, Bob was appointed a special advisor to the Canadian Minister of Public Safety on the Air India bombing of 1985. His report, Lessons to be Learned, was published in November of 2005 and led to his further appointment as Independent Counsellor to the Prime Minister of Canada and Chair of the Air India Inquiry and review. Bob’s books, From Protest to Power, The Three Questions, and Canada in the Balance are published by McClelland & Stewart. Bob is a Senior Fellow of Massey College. He is available through ADR Chambers’ Toronto Office.